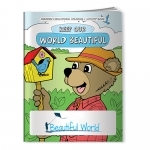 Custom watercolor paint coloring books are our best seller promotional giveaways for kids. 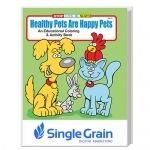 Parents will appreciate your thoughtfulness to keep their kids occupied and happy at home and school. 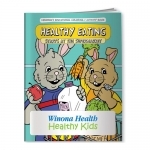 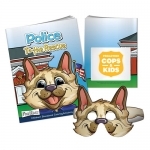 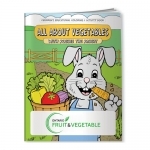 Promotional coloring books and custom printed crayons are surefire way to target young kids and their parents alike. 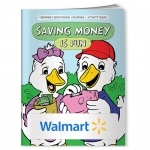 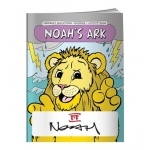 We offer one of the lowest prices for these coloring books and will beat any online price for large quantities. 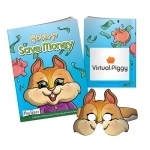 Our product prices not only cover price of the product but it will also save you from e-design proof, artwork assistance and large promotional efforts. 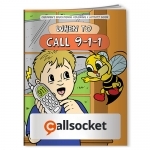 For us, every customer is important. 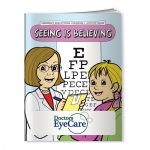 This is why our products are supported with 100% customer satisfaction guarantee. 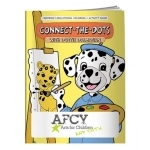 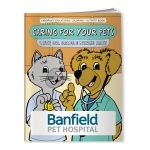 Customized Coloring Books - Feel Good! 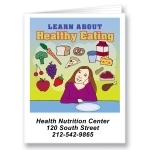 Eat Healthy! 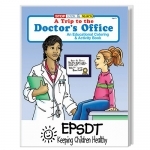 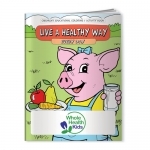 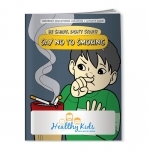 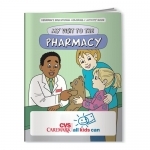 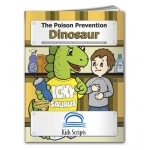 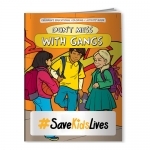 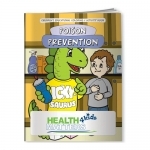 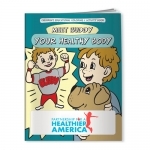 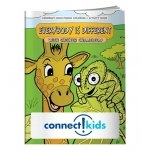 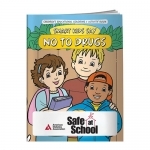 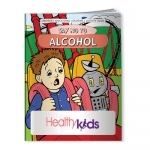 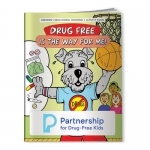 Custom Printed Coloring Books - Drug Free is the Way for Me! 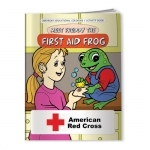 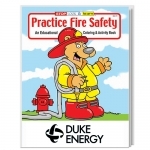 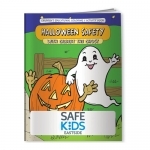 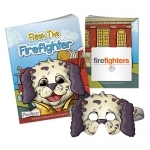 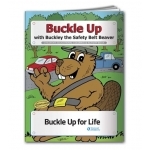 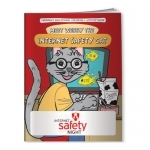 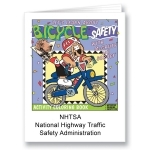 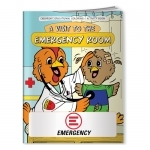 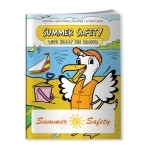 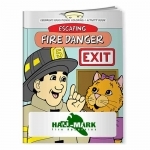 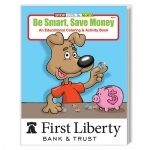 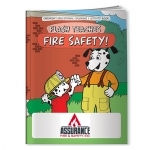 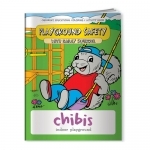 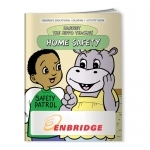 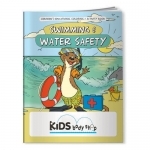 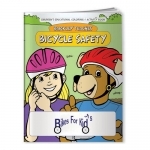 Promotional Coloring Books - Flash Teaches Fire Safety! 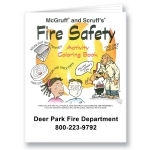 Custom Imprinted Coloring Books - Let's Color! 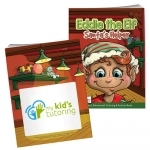 Custom Printed Coloring Books - Santa Visited Me! 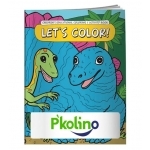 Personalized Coloring Book - Let's Color! 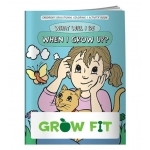 Promotional Coloring Book - What Will I Be When I Grow Up? 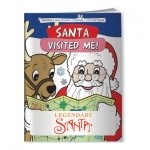 Custom Printed Coloring Book - Santa Visited Me! 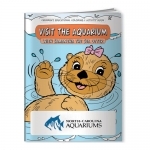 Our promotional watercolor paint coloring books offer large imprint area for your brand logo. 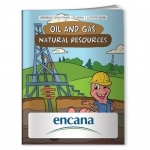 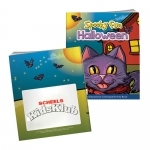 You can avail plenty of promotional opportunities with these affordable coloring books. 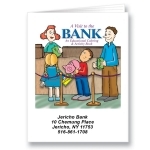 It doesn't matter whether you run a new bookstore in the school premises, produce school items or run a local corporation. 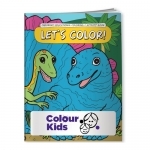 These promotional coloring books will still fit into your theme. 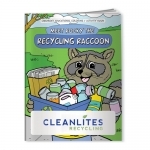 You can order them in bulk and stock for all future distributions. 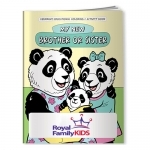 It doesn't matter whether you gift these coloring books to parents or kids, both will happily accept them. 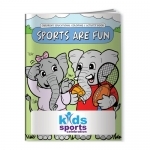 Kids can spend their time coloring over illustrations and parents can remain happy that their kids are occupied and learning something in return. 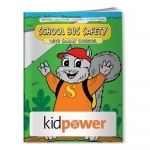 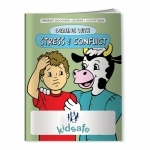 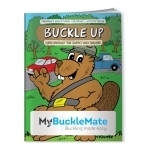 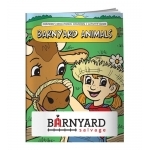 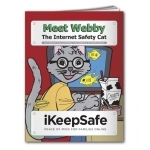 Do you know one of the effective ways to promote your business is educating kids about social values and topics about safety, importance of animal care, lifestyle, savings, etc. 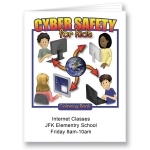 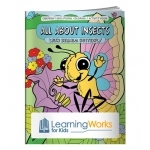 In order to make kids memorize such important information, the learning experience should be informative and enjoyable. 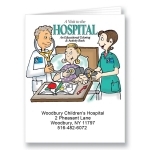 Custom watercolor paint coloring books meet both this criteria and they provide hours of fun. 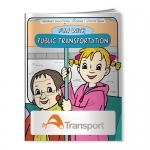 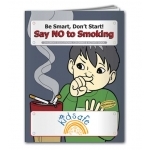 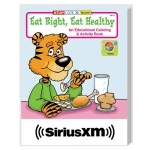 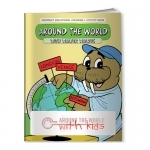 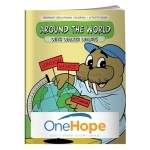 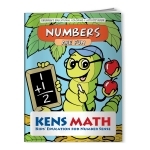 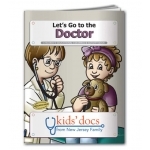 At Promo4kids.com, we have ensured to stock various informative topic of coloring books in our selection. 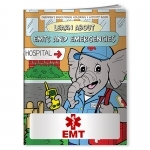 Topics include various educational lessons such as traveling, animal care, how to approach emergency services, handling money and more. 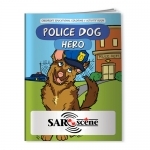 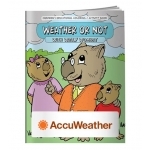 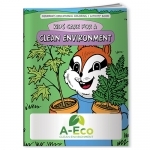 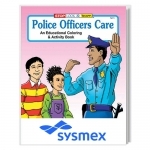 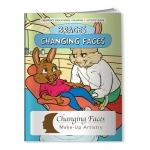 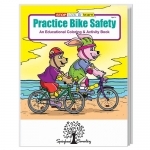 Any important lesson that you wish to reinforce in kids can be conveyed through these promotional coloring books. 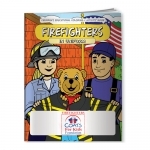 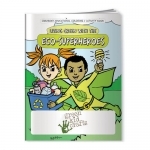 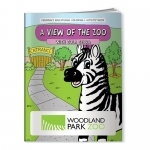 Personalized coloring books make great goodie bag inserts, tradeshow giveaways and individual personal gifts, return favor gifts, Bat Mitzvah and Bar Mitzvah gifts and school spirit gifts. 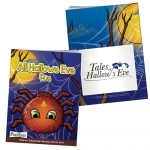 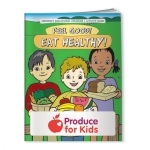 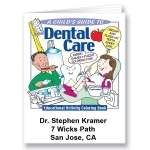 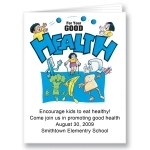 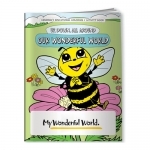 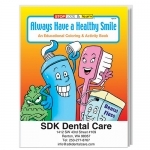 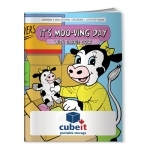 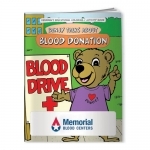 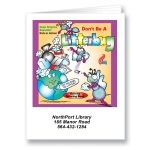 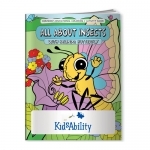 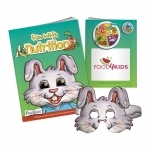 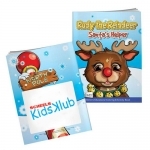 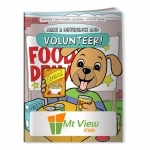 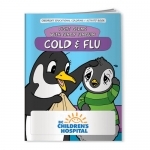 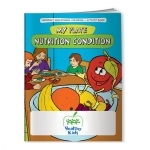 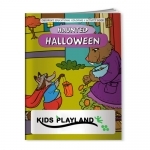 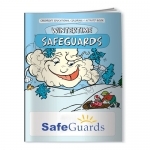 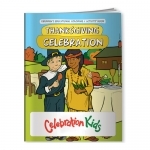 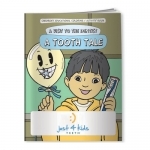 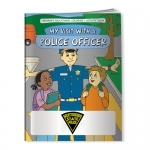 There are no "never" and "no" conventions when it comes to giving away these promotional books, you can give them on any special occasion when you wish to attract kids. 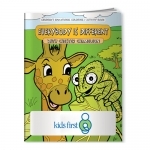 Don't forget to order our custom printed crayons! 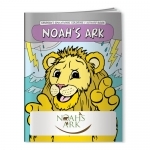 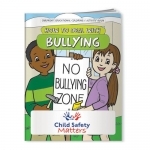 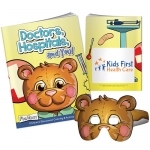 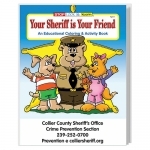 Please call coloring book promotional specialists at 855-454-3786 or email us at info@promo4kids.com for speedy help. 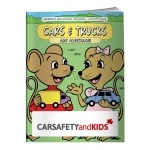 Our job is always to serve you and make your selection easier. 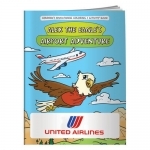 We don't mind going the extra mile in helping you understand why coloring books are perfect for your business, your targeted promotional advantages fulfilled through them and best price deals on bulk orders. 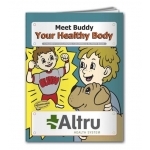 Get in touch with us today to score a promotional advantage over your nearest competitor!